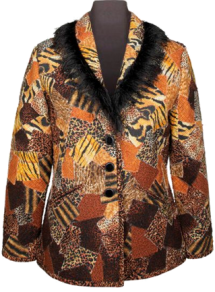 The most popular collared jacket, in the Not Quite a Sweatshirt Jacket, Sweatshirt Jacket Series, made on a sweatshirt fabric base. To bring out your wild side, we have embellished the shawl collar with eyelash yarn for that wild and scrappy look. 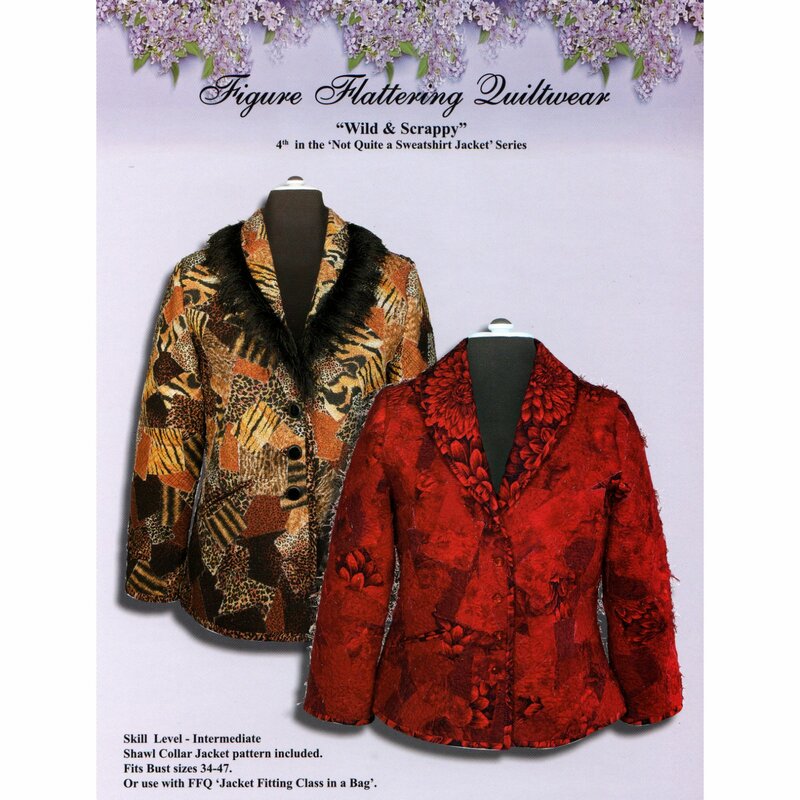 A looser fitting jacket pattern is included with this design. 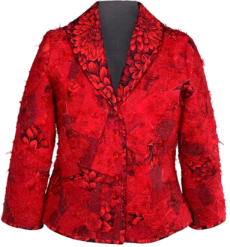 This jacket is tapered at the side waist and has a straight center back seam making this a bit looser fit than our other regular fit patterns.